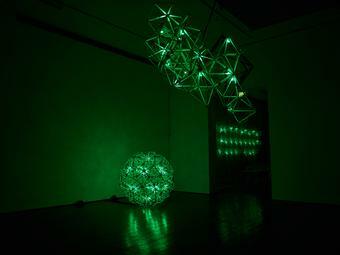 "Green light is an act of welcoming, addressed both to those who have fled hardship and instability in their home countries and to the residents of Vienna. 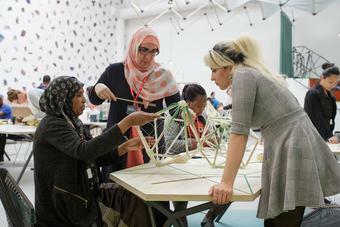 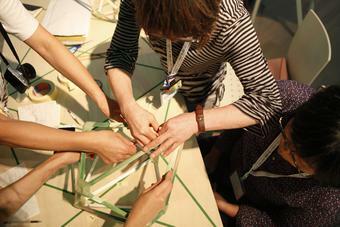 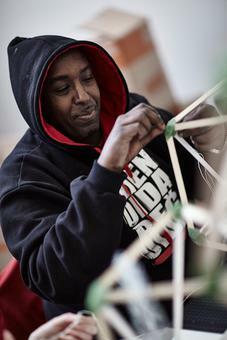 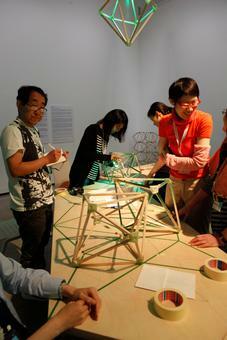 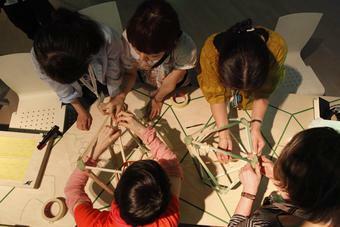 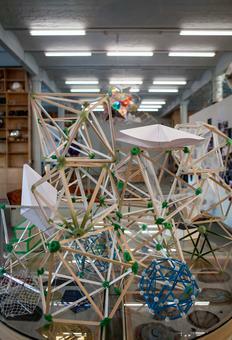 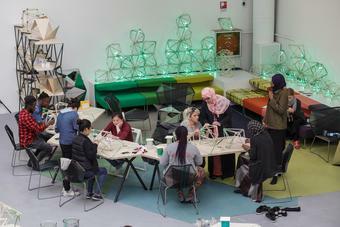 Working together in a playful creative process, participants build a modular light and construct a communal environment in which difference is not only accepted but embraced. 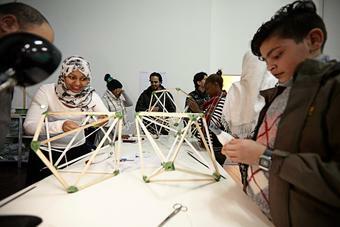 I hope Green light shines light on some of the challenges and responsibilities arising from the current refugee crisis in Europe and throughout the world." 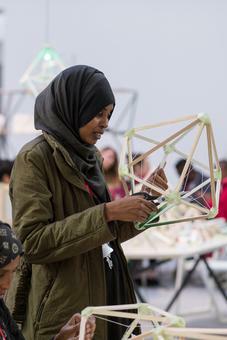 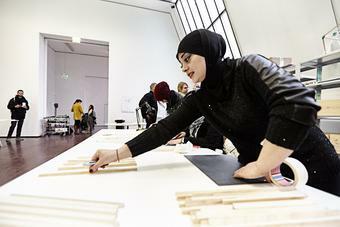 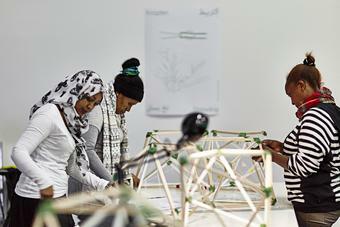 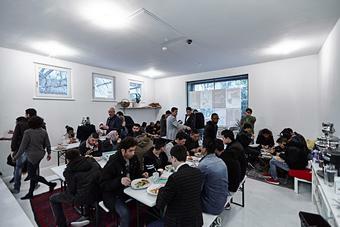 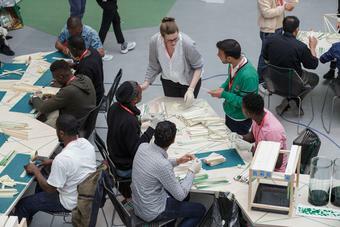 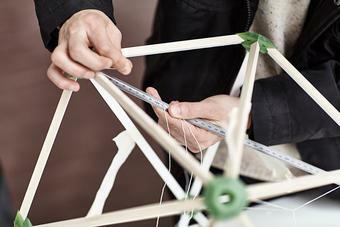 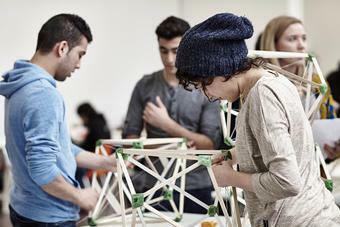 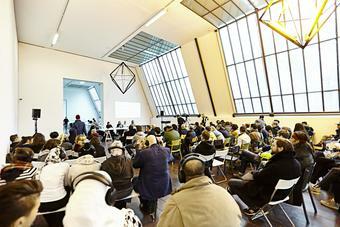 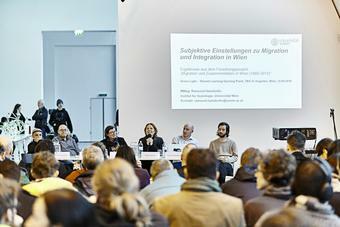 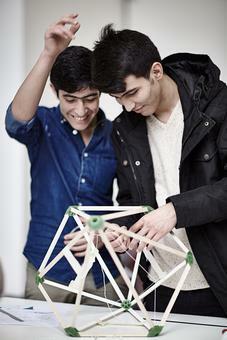 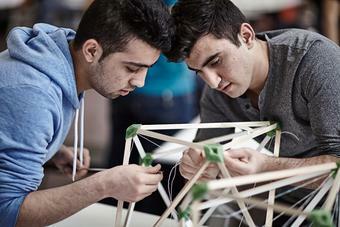 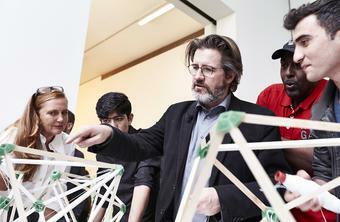 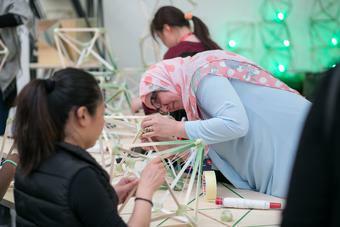 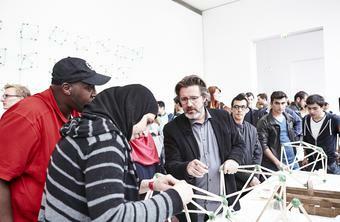 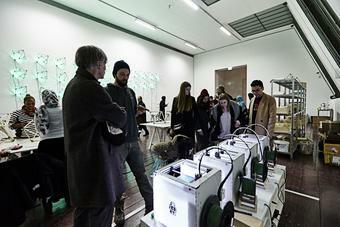 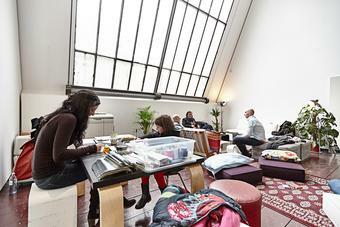 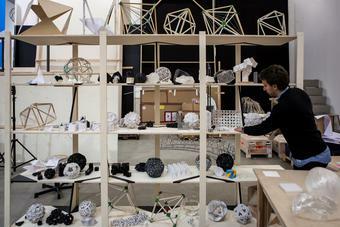 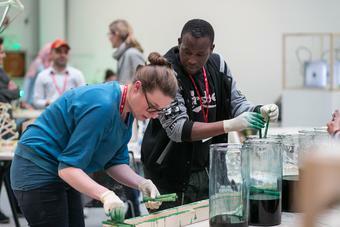 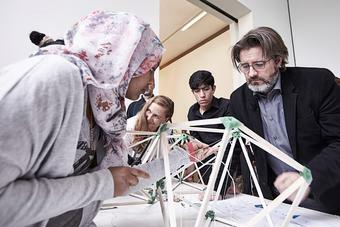 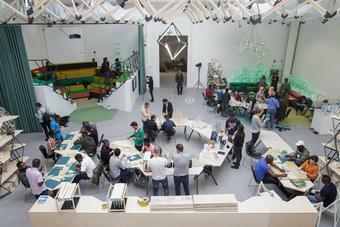 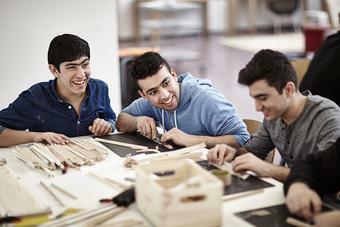 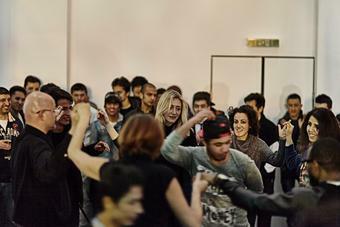 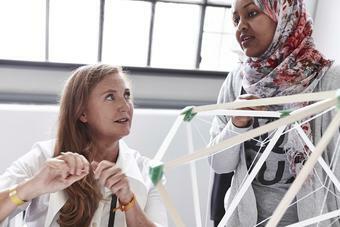 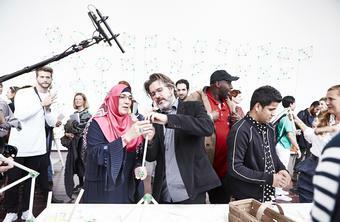 TBA21 and Olafur Eliasson are inviting refugees, migrants, and university students to take part in a workshop at TBA21–Augarten, Vienna, together with the gallery’s regular visitors. 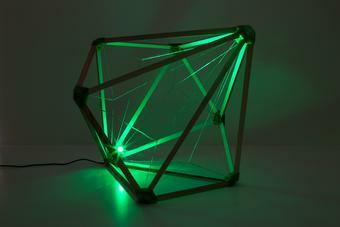 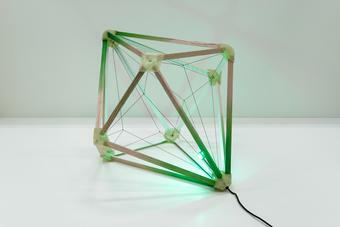 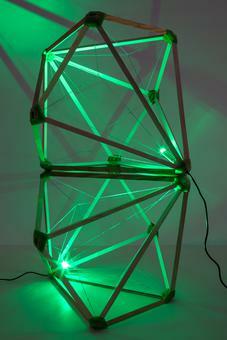 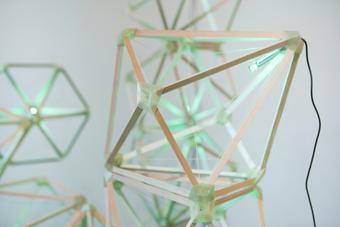 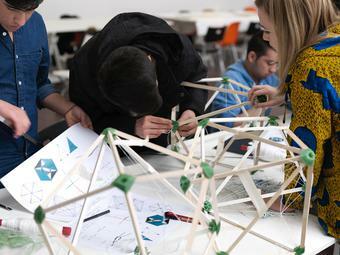 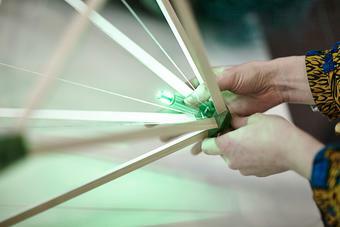 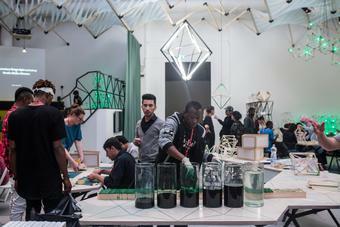 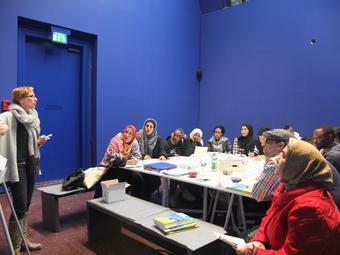 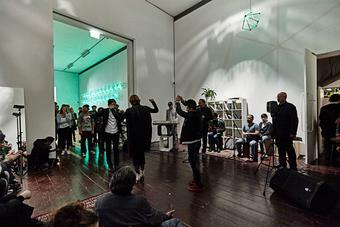 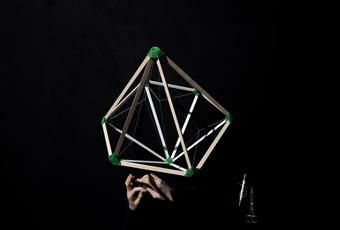 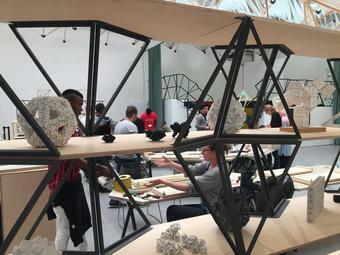 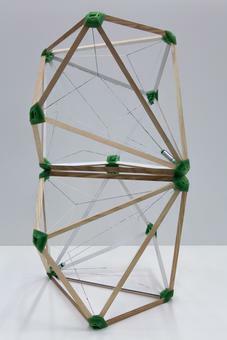 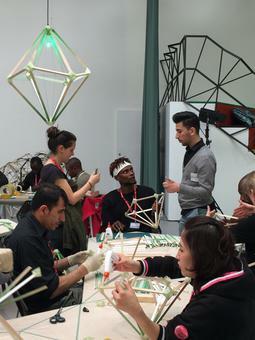 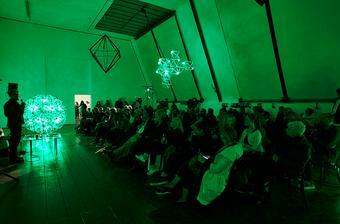 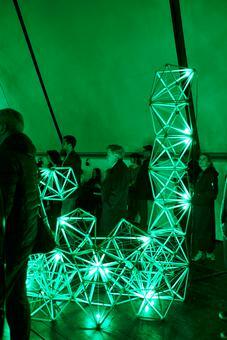 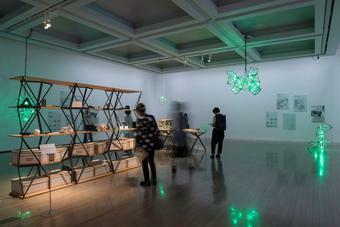 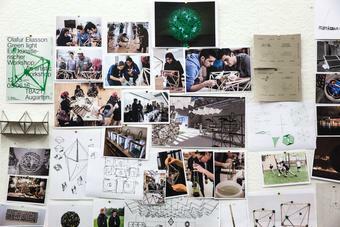 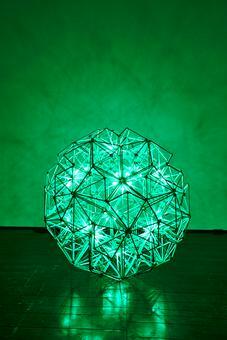 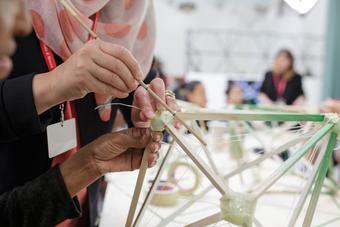 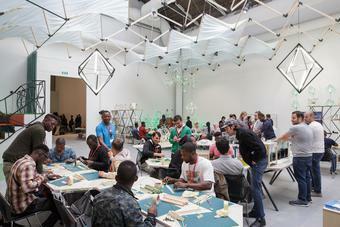 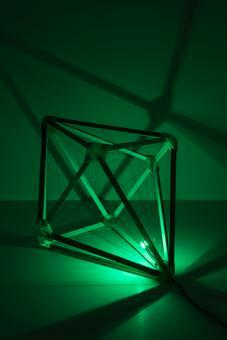 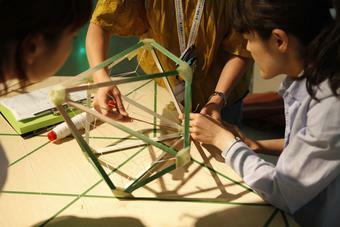 The workshop involves collaborating to assemble Green light lamp modules designed by Olafur Eliasson, as well as a diverse programme of seminars, performances, screenings, lectures, and artistic interventions organised by TBA21. 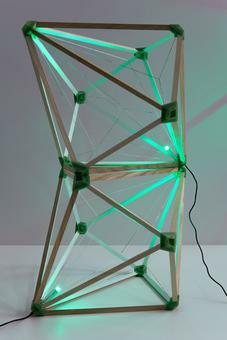 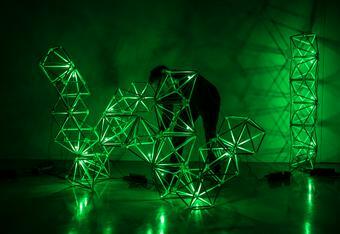 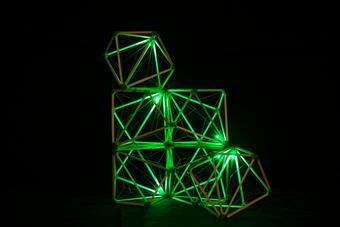 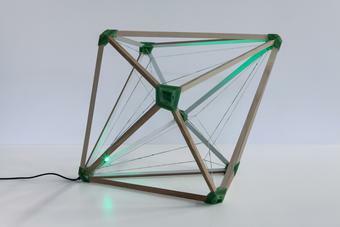 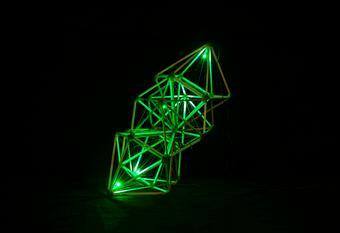 Made from recycled and sustainable materials and designed to be stackable, the Green light modules can function either on their own or be combined into more complex structures.